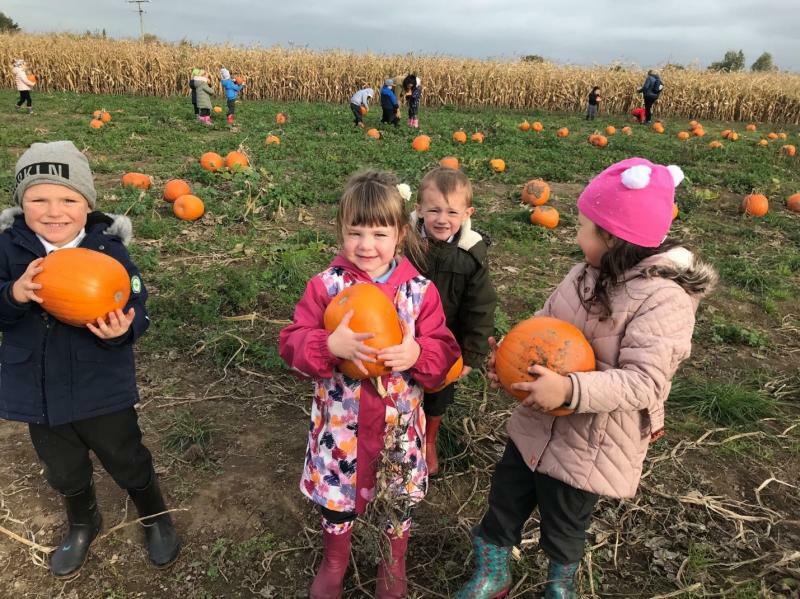 St Giles’ Primary School nursery and reception had a difficult task – to pick a perfect pumpkin in a field of 20,000 pumpkins, larger than the eye could see. They all had different ideas on the perfect pumpkin – oblong, round and knarled pumpkins were all thought to be the best. Everyone was looking forward to using them in the afternoon to make their pumpkin soup. The children also looked at weird and wonderful carrots, which were very different from the standardised shop-bought carrots they were used to. They came in all shapes and sizes, some wonky, others with faces, others with three ‘legs’. 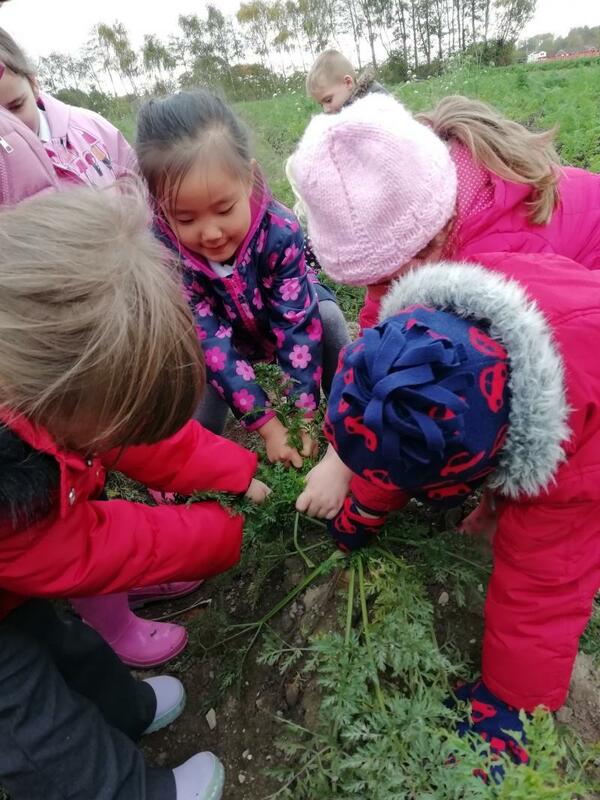 Some of the children already knew the story of the Enormous Turnip, where a farmer plants a turnip seed, but it grows so large that it requires a chain of people to pull it up. The children enacted the story: it wasn’t a turnip, but carrots so large (over 1-foot-tall), that it took many hands and heaps of teamwork to get them out of the ground. With carrots and pumpkins in tow, the last stop of the day was the maize maze. 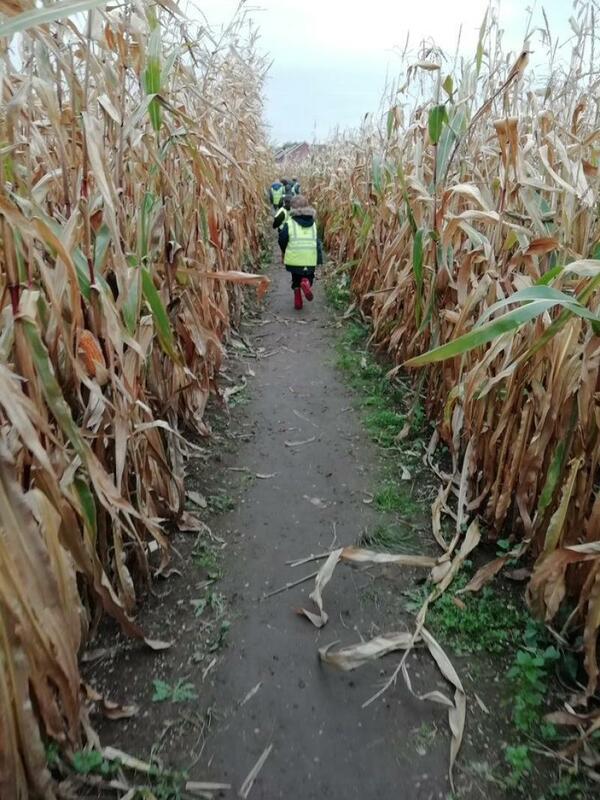 The children were fascinated by the hardness of the maize kernels and they were happy to hear that the maize would be used to feed the cows after they had finished playing in it. The children also learnt about the lifecycle of plants and what they need to grow, which made for an extremely educational and enjoyable visit.